At 10up, we have a history of open sourcing tools that help WordPress engineers practice their craft. One year ago, we introduced WP Local Docker, a lightweight local development alternative to VVV, another popular project started by 10up. A more recent project, WP Snapshots, efficiently pushes project snapshots into the cloud. As we increasingly used WP Local Docker and WP Snapshots in conjunction, we discovered some technical obstacles that could make WP Snapshots difficult to use. We realized that bundling the two projects would solve those problems and offer value to anyone already using both projects. This weekend, catch me and 6 of my fellow 10uppers at WordCamp London 2018, an annual WordPress conference supported in part by our Academy Sponsorship. On Sunday, I’ll be talking about Applying Design To Complex Problems alongside one of our UK clients, Press Association. Later that afternoon, Front End Engineer Daine Mawer presents, “Developing WordPress for Limited Bandwidth.” Those taking a break from the sessions can stop by the 10up sponsor table and learn more our growing 10up Europe team. One year ago, the popular government policy magazine Open Access Government stated, “Accessibility for all is not an option – it’s a fundamental right.” Creating equal access to digital content, regardless of age, size, ability, or disability, has always been a priority for 10up; it is inseparable from our mission to make a better internet for everyone. Creating accessible interfaces for our projects is consistent with our commitment to the principles of Universal Design. 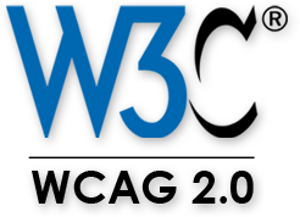 Because of this, we have updated the accessibility standards contained in our Engineering Best Practices to require all projects to have a baseline accessibility compliance goal of WCAG 2.0 Level A. 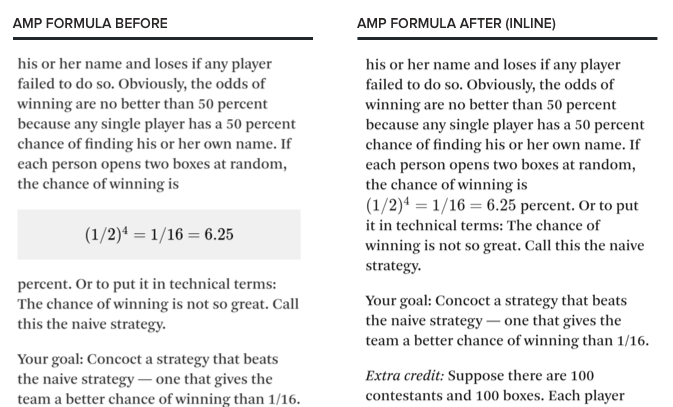 As a regular open source contributor committed to making a better web, it seemed to me that a native AMP implementation of the MathML standard would solve our client’s layout problem and help other developers and site owners. After a bit of background research, I opened an issue on Google’s open source AMP HTML project. With a prompt and warm welcome, Google’s team accepted my feature request. This being an open source project, I volunteered to help; my offer was greeted with enthusiasm and some tips. 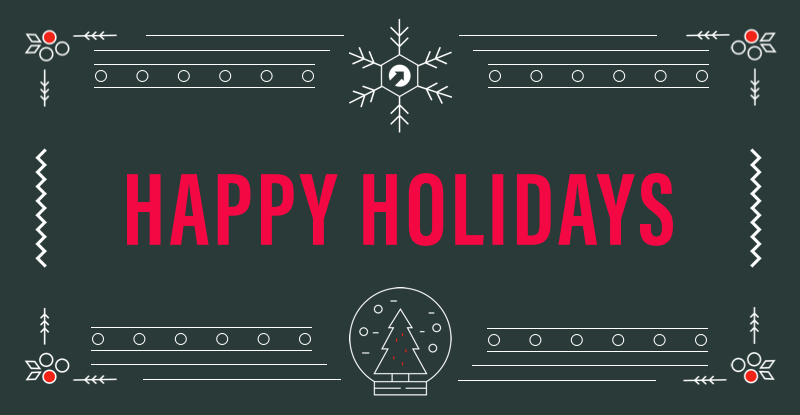 In our seventh year, we built on our investment in culture and storytelling by expanding our team and depth of services, and by redoubling our investments in open source and creativity. We welcomed more than 30 new clients to our portfolio in another record sales year. We launched new websites along with web and mobile apps for major brands across verticals as diverse as finance, healthcare, academia, high-tech, big media, consumer packaged goods, food and beverage, and fitness… to name a few. In a milestone event, we completed an acquisition of Lift UX, a boutique, Emmy-nominated agency that focused on user experience for design-driven websites powered by WordPress. Intended to strengthen our experience design expertise and resources, this investment added executive design leadership and expanded our portfolio of design stories. A renewed approach to our All Hands Summit yielded our largest and most memorable team event to date. Held in Old San Juan, Puerto Rico, our team gathered from around the world to take over a former Carmelite convent for a week of learning, sharing, building memories together, uniting around company goals, and celebrating our successes. Among the conference highlights, we held our first client panel, featuring leaders from companies like Microsoft, McClatchy, and Beasley Radio sharing insights on agency partnerships. Earlier this week one of our partners, WP Engine, released a plugin that leverages Amazon Polly to transform written content into lifelike speech, directly from WordPress. Being dedicated to helping our clients deliver great digital content experiences, we were eager to help pilot this integration with WP Engine by finding a launch partner. Collaborating with POLITICO in Europe, we transformed their daily political newsletters – Brussels Playbook and London Playbook – into engaging podcasts. As announced in June, beginning February 15th Chrome will remove all ads on websites that do not meet the standards of the Coalition for Better Ads. Sites will have 30 days to address any issues flagged in Google’s compliance report before Chrome begins removing ads. Google started this initiative in response to a report suggesting that poor ad experiences are responsible for a 30% increase in the use of ad blocking extensions across the web, which “reduces the ability for publishers to continue creating free content and threatens the sustainability of the web ecosystem.” Google is also on the board of the Coalition for Better Ad Standards. The Coalition for Better Ads is made up of leading international trade associations and online media companies committed to supporting “valuable free content, robust journalism and social connections across the internet” through the use of online ads. Their vision for better online ads aligns with Google’s view, and led Google to join the effort to improve how people experience the web. Knowing that consumers are increasingly frustrated with web ads, the Coalition for Better Ads surveyed over 25,000 internet users to create a set of consumer-friendly standards. Google will apply these standards to review a subset of a site’s pages. 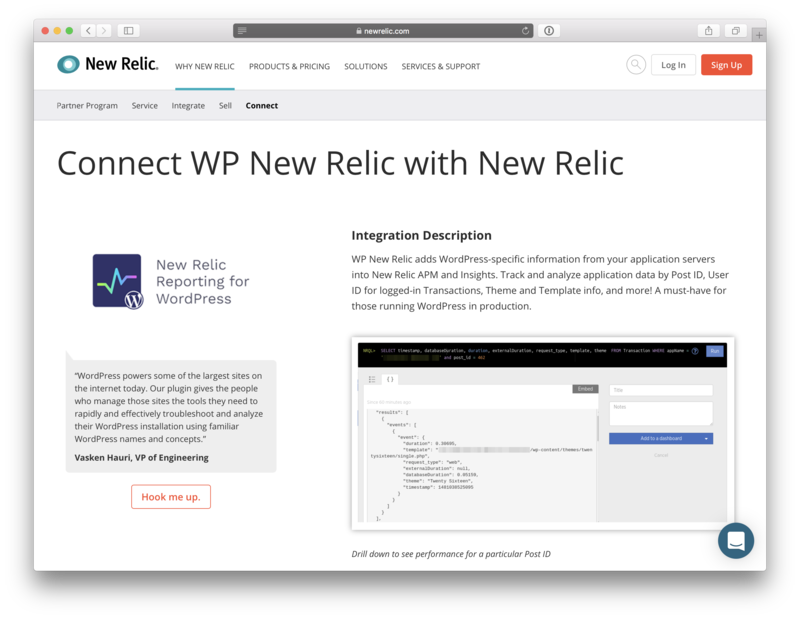 New Relic has included our New Relic Reporting for WordPress plugin in New Relic Connect, a directory that collects recommended integrations for New Relic customers. This plugin makes important WordPress data available in New Relic APM and Insights. You can now see Post ID and User ID for logged-in transactions, theme and template information and more, along with your other application data. We hope this increased visibility will lead to more WordPress developers getting the most out of New Relic. Learn more about the plugin or download it from GitHub. Modern websites can be complex, especially when a high traffic site offers advanced features that need more intensive server processing. WordPress has a few tricks up its sleeve to help developers improve performance, but as we’ve written about before, those tricks don’t always scale. If you’ve been engineering performant sites with WordPress, you’ve probably encountered the Transients API—a basic caching method. What developers may not know is, at scale, the synchronous way WordPress handles transients can lead to performance issues that can result in a poor user experience. That’s where Async Transients comes in, our open-source Composer library for WordPress transients.